The Monona East Side area of the Madison, WI region still maintains its original resort community soul. Nestled on the eastern shore of Lake Monona, we're a waterfront community with numerous outdoor recreational opportunities including beautiful bike trails, canoeing, kayaking and sailing, recreational boating and fishing and we have a thriving urban corridor on Monona Drive. We're known for our ethnic restaurants and quaint cafes, a phenomenal civic campus made up of a community pool, beautiful parks, a community center, senior center and one of the best libraries in the State of Wisconsin. 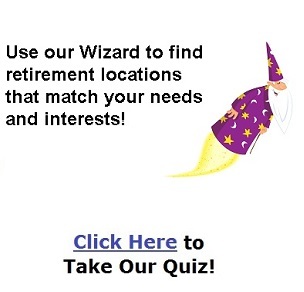 We welcome you to contact us so we can send you some information on all we have to offer! 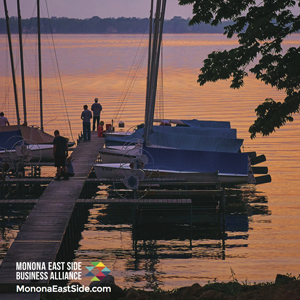 The Monona East Side area is renowned for its festivals and concert series on the shore of Lake Monona. The State Capitol building makes a beautiful backdrop for our Sunset Concert Series. Public bus service, numerous taxi services, an excellent network of paved biking trails and the Dane County Regional Airport is just minutes away. Jan 6.4 F° 16.5 F° 26.6 F° 1.3 "
Feb 11.2 F° 21.7 F° 32.3 F° 1.2 "
Mar 22.6 F° 33.3 F° 43.9 F° 2.4 "
Apr 33.9 F° 45.6 F° 57.3 F° 3.7 "
May 44.8 F° 57.4 F° 70.0 F° 3.6 "
Jun 54.2 F° 66.7 F° 79.2 F° 4.4 "
Jul 58.9 F° 71.0 F° 83.1 F° 4.2 "
Aug 56.7 F° 68.8 F° 80.8 F° 4.2 "
Sep 48.0 F° 60.5 F° 73.1 F° 3.5 "
Oct 36.7 F° 48.9 F° 61.1 F° 2.5 "
Nov 25.7 F° 35.2 F° 44.8 F° 2.6 "
Dec 13.2 F° 22.4 F° 31.6 F° 1.8 "
Wisconsin is made up of four distinct seasons and residents of our area take advantage of recreational activities year round. Numerous volunteer and job opportunities exist in our community and the Monona Senior Center is the best resource for finding employment opportunities in our area.